Amazon sellers don’t usually go out of their way to get themselves banned. But in Q4, if certain things don’t go as planned, sometimes desperation sets in. You sell items that you know might get you into trouble with higher than average buyer returns and complaints, but since it’s Q4 and you doubled down on inventory, you hope to sell through it all anyway. You may take on more risk in such cases just when you should be doing your utmost to protect the account from a peak holiday suspension. So what’s the worst thing you can do these days to get banned for life, other than outright fraud and theft? Faking invoices, product reviews or even having real suppliers is probably the best way to earmark yourself for an eternally blocked account. But there are several other mistakes sellers continue to make that pave the road to Hell just as often. 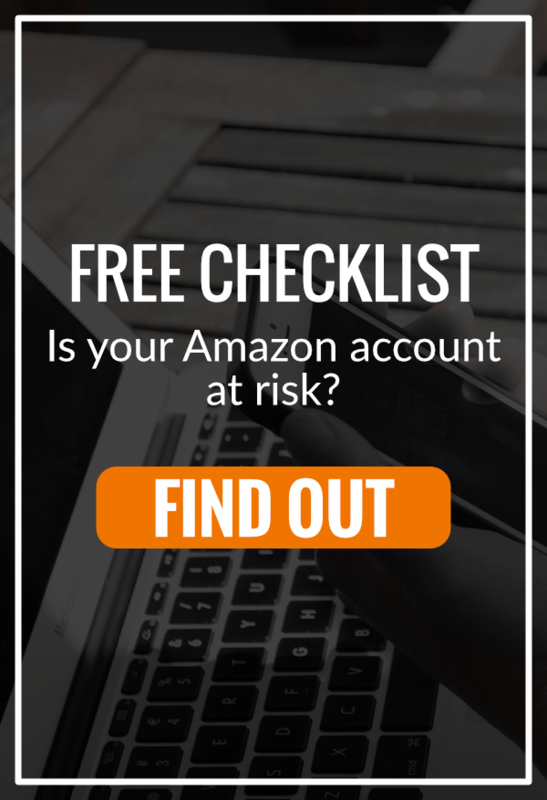 Are risking your Amazon account by forging documents? Are you faking invoices in order to pass the brand approval process? Are you altering supply chain documentation dates, quantities, physical addresses, SKUs or other info to prove authenticity or defend against counterfeit complaints? If you are, you can expect permanent bans for committing bad faith violations against the spirit of the marketplace. Amazon won’t be interested in forgiveness if this is how you behave with them or their buyers. It doesn’t matter what reason you give, or how badly you’ve performed in the past. If they cannot trust you to produce real documents when they must confirm the legitimacy of your products and suppliers, then they’d rather have other sellers sell what you’re offering and not worry about seeing you do it again. How do drop shippers prove authenticity? First, let’s clarify how Amazon views the risks of this kind of sourcing. I know dropshippers may have the most legitimate sources of inventory that exist. But how can you prove it? And what is proof? About 6 months ago Amazon began suspending sellers for inauthentic, THEN asking for invoices and supplier information. Previously, Amazon sellers only received performance notifications and requests for supply chain documentation if actual buyers complained about item quality or authenticity. Now, Amazon preempts any potential complaints by asking in advance, based on the products you have for sale. If you cannot produce accept acceptable documents and a verifiable supplier, for the ASINs they cite, you face an account suspension. They want a good detailed POA, too. If you’re unable to provide a viable Plan of Action AND you lack appropriate proof of authenticity, or even basic invoicing, you face denied appeals and a permanent account closure. The age of selling on Amazon without having pre-sale invoices to defeat inauthentic suspensions is over. Ask any dropshipper who faced suspension for using this business model during the past two months if they agree with this. If your approach to selling on Amazon involves a lack of full supply chain documents before you list items for sale, then you can expect a struggle from here to eternity. This year, Amazon began calling suppliers much more frequently to confirm all dates, item quantities, addresses, and other invoice information. If they could not get that information confirmed because your supplier has no web site and no one to speak with, investigators annotated “unverified supplier” on your account. Then, they sent immediate denials of ASIN or account reinstatement. Usually, when you can’t show what Amazon considers to be standard sourcing documentation, they suspect other aspects of your supply chain won’t hold up to scrutiny. If your supplier lacks a web site or an online presence, in this day and age, does it make sense to base a sourcing relationship on that? Can they prove their relationships to the brands they sell? The same principle applies if you’re selling aging inventory that lacks invoices or the dates go back beyond 365 days. That inventory no longer has any value on Amazon if they’ll ask you for invoices that you know they will refuse. The only way out of that predicament, if they suspend you for inauthentic item complaints, is to tell them you’ll only source and sell newer product. Pull out of FBA anything approaching a year, or you’ll be risking it all. If you have receipts that are hard to read, or vague unspecific Lot sale manifests without specific SKUs or product titles, or your invoices are in foreign languages and you’re counting on Amazon investigators to translate that for you, then you increase the odds of denials and rejected documentation. If the addresses or company names on your invoices don’t match what you have registered in Seller Central, then problems ensue. Think ahead and plan for Amazon to grill you about your suppliers and about documentation details BEFORE it happens. Plan for the worst, just in case you face an account suspension even before anyone complains. As an Amazon marketplace reseller, you never know when brands or buyers will report you for counterfeit, rights ownership violations, or inauthentic item complaints. Prepare now to defend yourself.